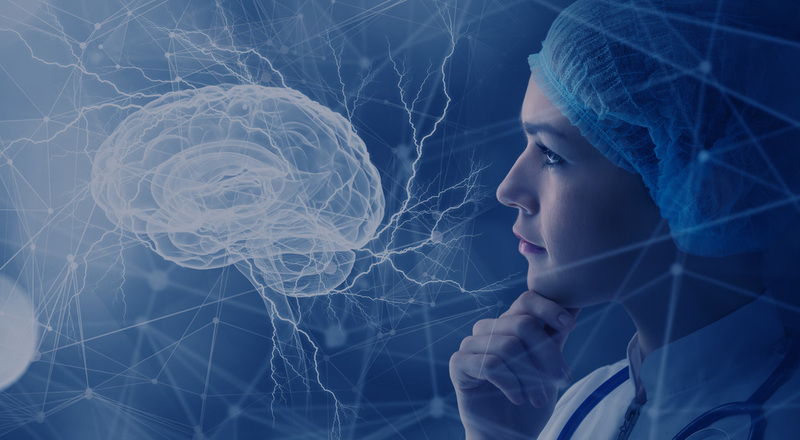 The traditional view of migraines is that they are vascular in origin; however, more recent research has proven that migraine headaches are neurological rather than vascular. In fact, medical studies have proven that migraines are primarily the result of a hyperactive brain. It has been demonstrated that people with migraines exhibit brainwave patterns associated with brainwaves seen in seizure type patterns. For this reason, many migraine researchers characterize migraines as a slow form of seizure. Migraines are characterized by hyperexcitability of the brain. Current research has proven that when the hyperexcitable brain is triggered by a stressor, a cascade of physiological events in the brain is initiated. This cascade of events results in a dilation of the arteries in the outer tissue covering the brain known as the dura matter. The dura matter is extremely pain sensitive and the dilation of the blood vessels in the dura matter results in the throbbing relentless pain of a migraine. The medical approach to treating migraines is with drugs. However, studies have demonstrated that even the most effective drugs only work about 50% of the time. Rather than mask the symptoms, the neurofeedback, or biofeedback, approach targets the cause of the migraine. The hyperexcitable brain means that the brain is producing too many fast brainwaves. In this hyperexcitable state the brain is prone to migraines. Any trigger such as stress, hunger, and certain foods can push the brain over the edge into a cascade of events that culminates as a migraine. Most people suffering with migraines can predict when a migraine is approaching. They can sense the brain being pushed into that cascade. In fact one of the more effective preventative measures is to identify and eliminate the environmental triggers. The trouble with that approach is that sometimes triggers are hard to identify and even when they can be identified, they are sometimes hard to avoid. Through the natural migraine relief of biofeedback/neurotherapy, the patient learns how to calm the brain down. The patient is taught how to produce the slower, less excitable brain waves at will. So the next time a patient feels a migraine coming on, the brain can engage this new ability and prevent the cascade of events that result in the migraine. In fact most patients that have been treated report that they sometimes can feel a migraine coming on but then it never happens. 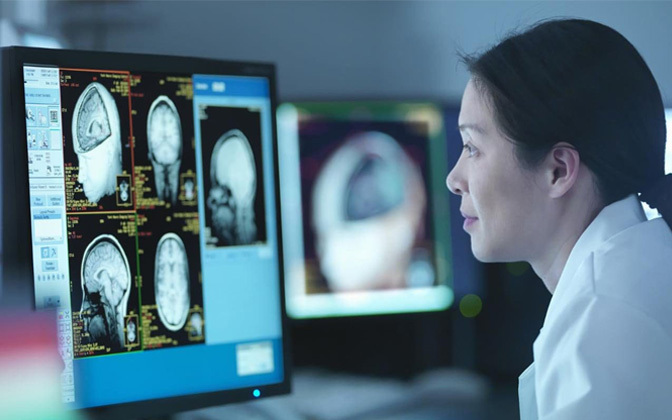 Up to 90% of the patients treated with biofeedback therapy have reported a 50% or greater reduction in migraine frequency and a 75% reduction of migraine severity. For informational purposes only. Individual migraine treatment plans may vary. We meet and discuss your or your child’s case details and suggest a tailored biofeedback treatment plan specific to your scenario. In the first biofeedback session we test the brainwave patterns using a sophisticated EEG equipment and establish a baseline. Imbalances are recorded and a specific course of at home migraine treatment is established. 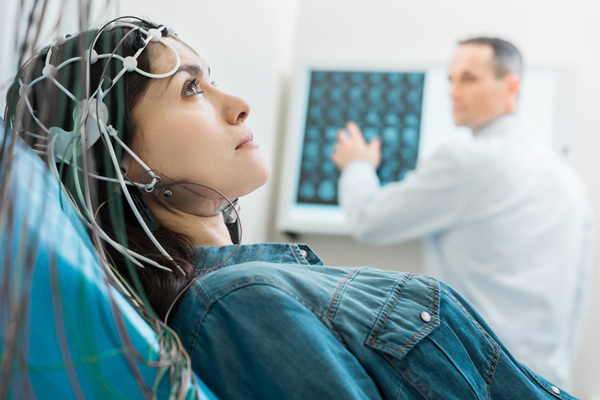 Patient receives biofeedback equipment to take home in order to proceed with migraine treatments from the comfort of their own home which saves both time and costs from a more traditional strictly in-clinic approach. 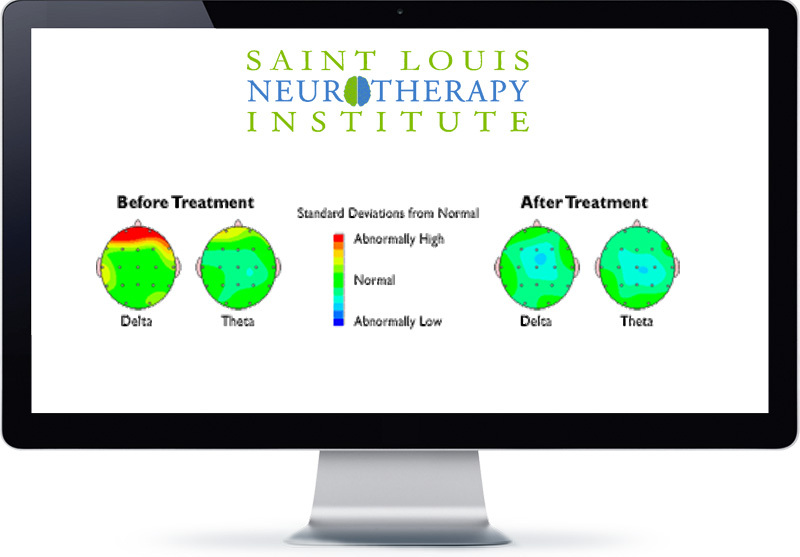 Patients conduct in-home biofeedback training with equipment proved by St. Louis Neurotherapy Institute 4-5 times per week. It takes approximately 40 minutes to conduct the biofeedback training for best results. This in-clinic session will retest the new brainwave patterns to confirm migraine treatment effectiveness. Most clients will already see the results first-hand in changes prior to the retest.